Paradise. That’s what those from Koukourārata call home. And who can deny the stunning vistas of Port Levy are a source of sustenance, an energizing environment that makes everyone feel in a better place. Of course they tried to tell me it had been business as usual, not a moment to waste. 24 Whānau Plans developed and written up. Strategies shared. Work programmes discussed. Yes from the look of the photos, the wānanga looked very arduous! Koukourārata was in my mind a lot as I referred to the work of Probation ex-mates who played such a critical role in creating the maara kai from which those beautiful taewa are grown. We have a number of initiatives which are co-ventures with the Department of Corrections and which involve the garden as a source for a burgeoning relationship. There is something quite special about sharing the soil together; hands to the land; preparing the bed for new seeds to grow. This week I spoke to approximately 150 senior managers from across the Southern region of the Department of Corrections about the relationship between those who inhabit cells behind barbed wires – and their outside lives as fathers, brothers, mothers, aunties, grandparents. It was a particular thrill to receive a bouquet of flowers fashioned out of bronze made from the men in Christchurch Men’s Prison. But of all the initiatives that I talked about on Plains FM on a special budget breakfast show, the most exciting was the $28m boost for whānau centred initiatives. That includes $10m to invest in Whānau Ora; $8m for rangatahi suicide prevention, and $9m to support whānau-centred family violence interventions. A shot from the Plains FM Budget Breakfast featuring economics Professor Paul Dalziel and Sara Epperson from Child Poverty Action Group. We had a wonderful hui at Ngā Hau e Whā marae in Christchurch, completing the 2017 round of consultation on the framework that will be launched on 6 June at Rehua Marae. 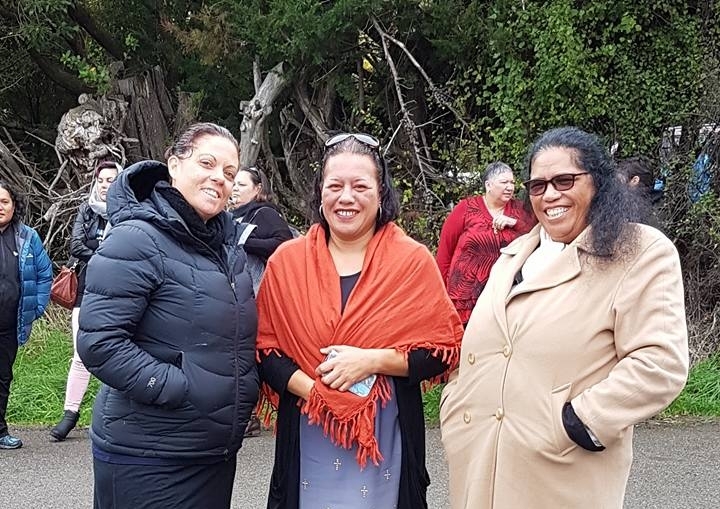 Matua Norm Dewes was the keynote speaker; the workshops were dynamic and provided fresh thought on the framework, and most of all it was so moving to see the sense of shared commitment to standing up and against family violence. I am so delighted to know that the foundation we have laid through Tū Pono: Te Mana Kaha o Te Whānau has been so influential to Ministers in having the confidence to invest in whānau-centred, kaupapa-based approaches. On Friday, we had a coaching hui for our coaches to share progress across the 100 whānau-based entities; what the most prevalent challenges are in working with whānau entities; and providing a space to consider the best way to achieve the outcomes in the Whānau Ora Outcomes Framework. There was an interesting connection made to the etymology of the word, coaches, from the concept of a coach that takes you places from a to b; a journey in which you move to a new destination. Finally, we had a brilliant weekend last weekend, courtesy of Awarua Developments. Awarua Developments is a subsidiary of Te Runaka o Awarua Charitable Trust. Awarua Developments aims to create intergenerational wealth opportunities for the people of Awarua and the Bluff Community. We savoured the succulent treasures at the Bluff Oyster Festival; experienced the beauty of the Southern-most marae, Te Rau Aroha, and enjoyed the presentation of Awarua Development Initiatives. We were particularly impressed with the artistry of Greg McDonald, featured here with Reese, who along with brother, Kamana, was the inspiration for one of Greg’s amazing works of art. 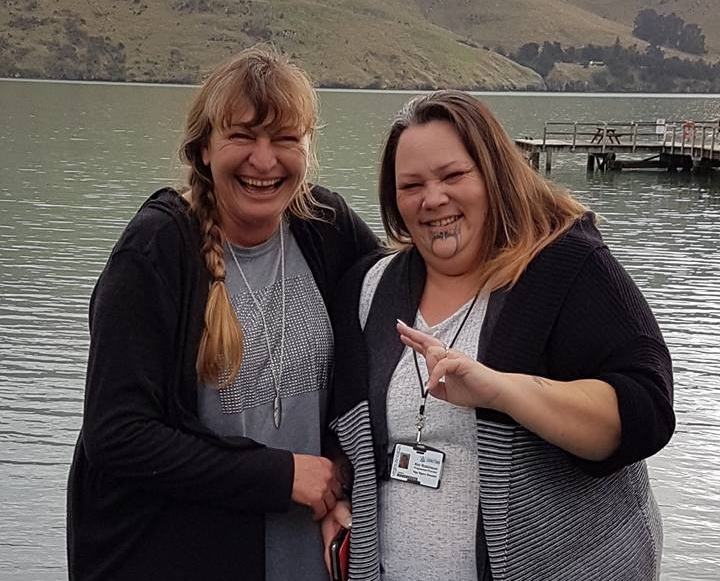 And it was fabulous to catch up with our own Te Pūtahitanga o Te Waipounamu investments : Awarua cosmetics and the locally grown Scavenger Hunt.